Train to Become a Confident Captain! Have you ever wanted to know where the best spots in the Intracoastal Waterway are? Want a new or different destination when cruising the ICW? Many of the secluded inlets are dynamic and often tricky to navigate due to the nature of their shallow and curvy channel. But not to worry- Sea Gate Boating can get you to any island, inlet or little slice of paradise. Through the training we offer, we can show you how to navigate these channels confidently on your own. We offer individual and group training sessions in order to accommodate whatever your needs may be. Our trainings range from learning basic skills like docking and channel markers, to learning how to navigate the greatest hidden spots in the Intracoastal Waterway. Specific island destination? Cape Fear River? Deep Sea Fishing? Best spots for crabs or oysters? No matter your training needs, the knowledgeable staff at Sea Gate Boating can make it happen for you! 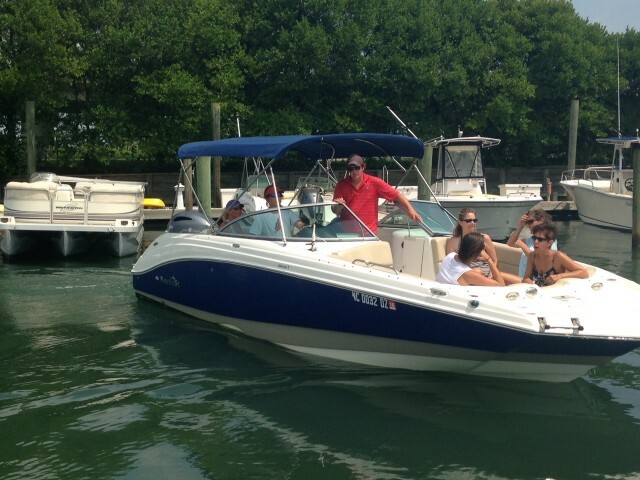 Sea Gate Boating offers a full array of hands-on training. We deliver instruction that leaves you feeling comfortable and confident while still having fun. Train on our boats from 18’ to 41’ or train on your own boat! Training to become a safe operator! 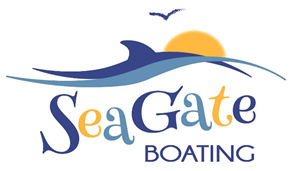 Sea Gate Boating will help you build your confidence operating your boat under the most challenging conditions. From maneuvering your boat in strong winds and currents, to docking your boat safely between the narrowest pilings, we will help you learn about the physics affecting your boat, and teach you how to control the variables. Our training begins in open water using simulated pilings made out of soft foam rubber to ensure confidence and safety. Training will progress to the hard docks when you are feeling comfortable that the vessel is under your control. Fish for favorite local varieties including Snapper, Flounder, Grouper, King Mackerel, Trout, Spanish Mackerel, and Bonita. Learn how to anchor over an offshore ledge, rig the fishing poles, cut bait and hook, choose the right rig, set up downriggers & outriggers, gaff the fish and bring her in! Fun for you and the whole family!